Chelsea will take to the field against Tottenham Hotspurs in a much-anticipated London derby Premier League match on Wednesday late night. 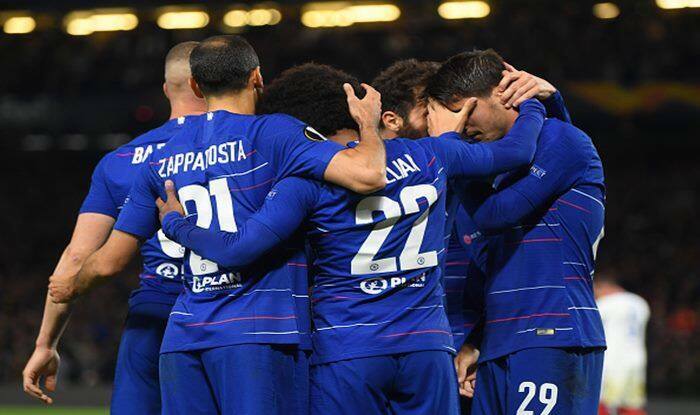 Chelsea will take to the field against Tottenham Hotspurs in a much-anticipated London derby Premier League match on Wednesday late night at the Stamford Bridge stadium in London. The Blues have been at the end of back to back defeats by arch-rivals Manchester United in the FA Cup and against Manchester City. Harry Kane returned for Tottenham during their previous fixture but their side ended up on the losing end following a 2-1 defeat against Burnley. If Tottenham lose this match, they will effectively be out of the Premier League title race and if Chelsea, who are under severe pressure and amid scrutiny from fans and pundits alike. When will the match between Chelsea and Tottenham take place? Where will the match take place between Chelsea and Tottenham? The match between Chelsea and Tottenham will take place at the Stamford Bridge stadium in London. Which TV channel will broadcast the match between Chelsea and Tottenham? The Chelsea vs Tottenham match will be aired on Star Sports Select 1. Where will the Chelsea and Tottenham match be available for live streaming?